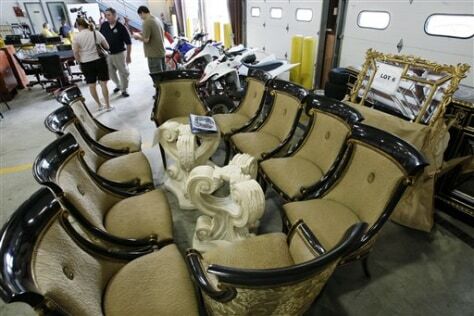 People look at items to be auctioned from the home of former Madoff finance chief Frank DiPascali. On June 25 the U.S. Marshals Service will auction the items.